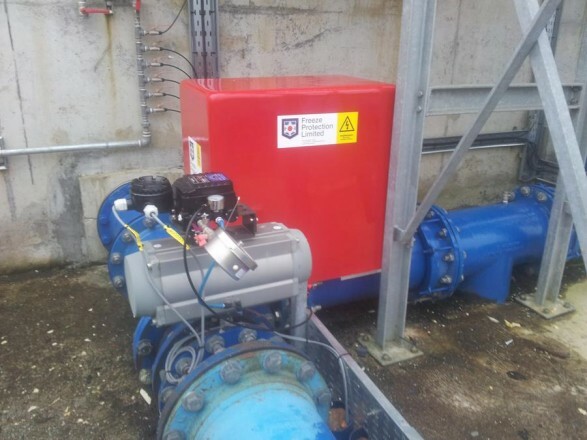 Freeze Protection Ltd is currently working in several Counties around Ireland providing heat tracing and insulation products to water and waste water treatment plants. Freeze Protection Ltd. provides the only In-Pipe Low Voltage Trace Heating System that can be inserted inside the pipe for protection of buried pipes that are not accessible without excavation or cannot be accessed at all. We use a patent protected low voltage system that operated at 48V DC which is completely safe for human use and poses NO risk of shock to the operator of water treatment palnts. Freeze Protection Ltd is curently operating throughout ireland for local Authorities, Uisce Eireann and private companies under Service level agreements.